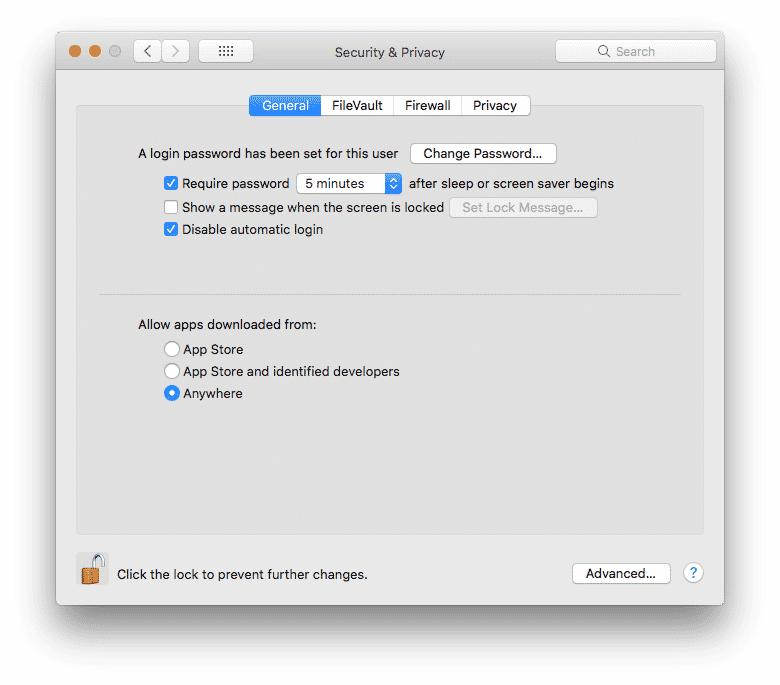 Beginning with macOS Sierra, and continuing in macOS High Sierra, Apple tightened up security, especially in the area of apps you can and can’t install on the system. Gatekeeper, as it’s called, prevents you from installing apps from anywhere but the App Store or the App Store and Signed Developers. Today, I will show you how to disable this feature so you can install apps from virtually anywhere on your MacBook. 1. Security – One nice thing about limiting a user’s ability to install software to official channels is you can drastically increase the security of the system. Since users can’t install software from almost anywhere from unknown developers, you really can ramp up your security as you know what’s in every piece of software that is installed on the system. 2. Software Control – Anyone who has ever used a Mac or an i-Device of any kind is already very familiar with how much Apple likes to control the computing environment. This is both good and bad, and I’m not going to get into that debate today, we will save that for a future post. But I will say thing – since Apple likes to control the environment, why would they bother giving you the ability to install software from anywhere on the Internet? 3. 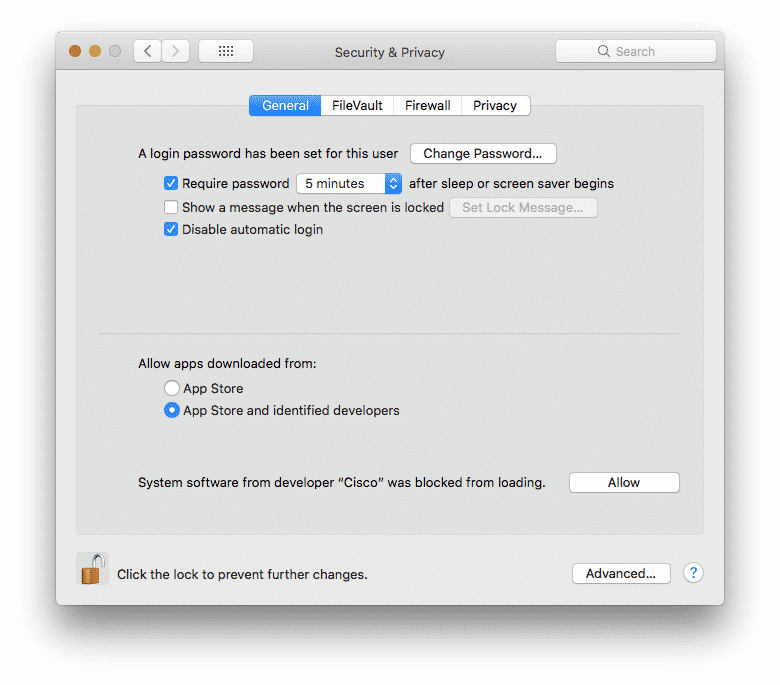 Money – Apple has a financial incentive to limit the locations of software on your Mac. Ideally, they want you to buy your software from their App Store, that way they get a cut of everything that’s been sold. If you can download the same software elsewhere, they could potentially be losing a nice source of passive income, and Apple can’t have that! 1. Go to Applications > Utilities > Terminal and double click on the icon. 3. Relaunch preferences by going to Apple > Preferences > Security & Privacy. 4. You should now see the choice “Anywhere” in your list. Unlock your preferences and click on that box so you never get hassled about installing software ever again. While Macs are considerably more secure than their PC counterparts, they are far from immune to viruses and malware despite what Apple wants you to believe. That means that there are threats out there, and they could be hiding in some third party software from an unknown developer. I say that to tell you to be careful when you download apps. Just because they aren’t an official identified developer with Apple doesn’t mean they are up to no good, and most of them are just fine, but I promise you that the bad software will only be found from an unidentified developer. So be careful and make sure you know what you are downloading before you do it.